You forgot to take your car keys well in time before moving out of the car and now you are locked outside your car. A car lockout is one of those annoying moments that we do not really feel like talking about. But we have to because when such lockouts happen, help is required on an urgent note. You really need to search for a locksmith near you so that help can arrive for you soon. 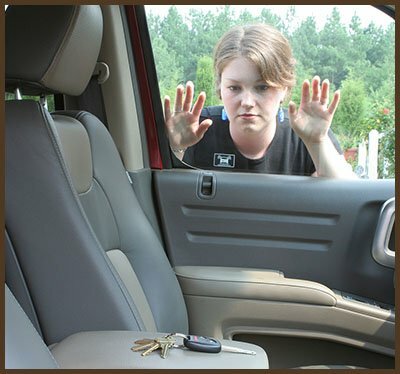 If the incident of you being locked outside your car has happened in the Louisville, KY area, then Expert Locksmith Shop is your best option! Finding a car locksmith whom you can count on is essentially important since only a professional locksmith can expertly get you out of the car lockout situation without damaging your car lock system. We, at Expert Locksmith Shop, know that no one desires to spend extra on getting the complete car lock replaced just because he made the mistake of taking help from a local locksmith. Once you decide to call Expert Locksmith Shop, you will have peace of mind knowing that help is on its way. The moment they reach you, you will be back in your car once again in a couple of minutes. Expert Locksmith Shop has been catering to the needs of people in and around Louisville, KY region for over a decade and specializes in their work. Emergencies like car lockouts can happen anytime anywhere and the need for the locksmith also arises at the same time, so having a dependable car locksmith on your contact list will help you overcome the situation in less time. Be wise, choose us and call us anytime you are in trouble at 502-405-8057 and we will be there to assist you shortly. Your worries become ours the moment you call us and expect help from us!